Tijuana, a new scripted Spanish-­language drama series, co­-produced by Fusion Media Group and Netflix, is scheduled to start production next month and will air in the U.S. on Univision Network and debut globally on Netflix. When the presidential front-runner is shot in the street, the reporters of Tijuana Weekly race to cover the story, but the facts they uncover run much deeper than the assassination. An insidious corruption has been allowed to grow in the shadows, and these reporters will risk their lives to bring it to light. Daniel Posada (El Chapo) will serve as a showrunner along with the series creator Zayre Ferrer. Tijuana will be co-produced by FMG Studios’ Story House and Netflix. In addition to Tijuana, Fusion Media Group and Netflix will co-­produce two additional Spanish-language scripted series, as well as two English­-language docu­series in partnership with the FUSION TV network. El Chapo was the first co-­production between Netflix and FMG Studios’ Story House. Season one of El Chapo premiered on Univision Network in April 2017 and globally on Netflix in June 2017. Since its premiere on Netflix, the series has become one of the most binged by viewers in Mexico. Season two helped make Univision the home of U.S. Hispanic viewers on Sunday nights this fall, and it recently debuted globally on Netflix. Fusion Media Group (FMG) is a media company that connects with the young, diverse audiences that are shaping our future. Through fearless journalism, provoking comedy, and high-impact storytelling FMG elevates the stories and issues our readers and viewers are passionate about. FMG is one of the leading digital publishers in the U.S., serving over 100 million readers a month—more than one-third of all Americans. FMG includes some of the web’s most beloved media brands under one roof, including The A.V. Club, Clickhole, Deadspin, Earther, Gizmodo, Jalopnik, Jezebel, Kotaku, Lifehacker, The Onion, The Root, Splinter, The Takeout, and others. In addition, FMG produces content across a range of formats and platforms through the FUSION cable network and its long-form development and production division, FMG Studios, which includes Story House Entertainment and Onion Studios. More at theFMG.com. 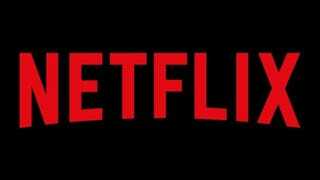 Netflix is the world’s leading internet entertainment service with over 117 million members in over 190 countries enjoying more than 140 million hours of TV shows and movies per day, including original series, documentaries and feature films. Members can watch as much as they want, anytime, anywhere, on nearly any internet-­connected screen. Members can play, pause and resume watching, all without commercials or commitments.